Historic Installation in an historic setting - Taralga. Eden-Monaro covers an area of approximately 29,499 sq km from Queanbeyan to South Durras in the north, south to the Victorian border, extending to the southern and eastern borders of the Australian Capital Territory. The main towns include Adaminaby, Batemans Bay, Bega, Berridale, Bodalla, Bombala, Braidwood, Bungendore, Captains Flat, Cooma, Dalmeny, Delegate, Eden, Jindabyne, Merimbula, Moruya, Narooma, Queanbeyan, Sutton and Tathra. Products / industries of the area include timber, beef cattle, sheep and wool, dairy farming, dairy products and mixed farming. The Snowy Mountains hydro-electric scheme, snowfields and tourism are important industries for this division. It is one of the largest electoral regions in New South Wales stretching from the snowfields of Kosciusko to the sapphire waters of the Far South Coast. It also home to 7 Masonic Lodges which meet at Masonic Centres in Cooma, Bombala, Bateman's Bay, Moruya, Bega and Pambula in what is known as District 49 from 10th September 2014. 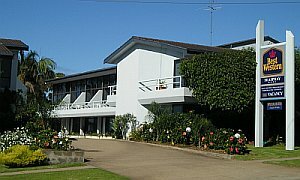 These Lodges were formerly contained in two districts, 105 and 114 under the jurisdiction of the United Grand Lodge of NSW and ACT. See "Regions and Districts" in the main menu to the left. At the June 2016 Grand Communication it was announced that District 49 would split into two areas each with a DGIW in view of the geographical size of the total area and the time and risks taken visiting distant Lodges especially at night. The new districts are 49A in the North with 3 Lodges and 49B with 4 Lodges in the South. This change came into effect at the September 2016 Grand Communication and Proclamation. At the March 2019 Communication, Lodge Milton was added to 49A. 17th April: Bega Remembrance, tyling at 6.30pm, ANZAC ceremony. 27th April: Pambula D/L tyling at 10am, ANZAC tribute. 4th May, Cooma-Monaro tyling at 5.30pm, Reinstallation of W Bro Bill Kelly. Representative RW Bro Kevin Mulcahy, PJGW. Banquet at Cooma Bowling Club with Ladies most welcome. 14th May: District social meeting at Candelo Hotel at 6.30pm for 7pm. 15th May: Bega Remembrance tyling at 6.30pm. Third degree. 24th May: Eurobodalla D/L tyling at 9.30am. 25th May Pambula D/L tyling at 10am. First degree exemplification. Eurobodalla Lodge of Research & Instruction, Moruya Masonic Centre 7.30pm. Last Monday except Dec and Jan. Preceptor VW Bro Bryan Hardy. Bega Remembrance - meets at the Bega Masonic Center(Map), 3rd Wednesday, 6.00pm in Winter, 7pm Summer. South after meeting. Dress is lounge suit for regular meetings. Installation 3rd Sat. Sept. (Evening Dress, dinner suits or lounge suits. Tyling 4pm). Secretary - VW Bro Ray Spencer. 02 6494 4063. Cooma-Monaro - meets at the Cooma Masonic Center(Map), 1st Friday, 7.30pm. Evening dress. Installation 1st Sat May. Sec: RW Bro Bruce Davies. 02 6452 2926. Mountain Lodge - meets at the Bombala Masonic Temple(Map) 2nd Saturday, 7.30pm. Evening (Summer) dress. Installation Nov. (Tyling 5.30pm). Sec: V W Bro Kevin Turnbull. 02 6458 3431. Pambula Daylight - meets at the Pambula Masonic Center(Map), Last Saturday, 10am. Installation last Saturday November. Tyle 10am (Lounge suit). Sec: W Bro Alf Gallina. 0419 260 872. Meets at Cooma Masonic Centre on 3rd Monday at 7.30pm. in March, April May, Sept October and November. Visiting Merimbula? Why not stay with Anton and Antoinette at their Sea Spray Motel. Click on photo for their web site. Josh helped with the upgrade of the Pambula Lodge kitchen.